Step right up to the Swagbucks County Fair, and collect all 5 Deep Fried Collector's Bills! What better way to earn free gift cards than searching the web through Swagbucks as part of your everyday life? Well here’s a way to get a bonus while you earn! 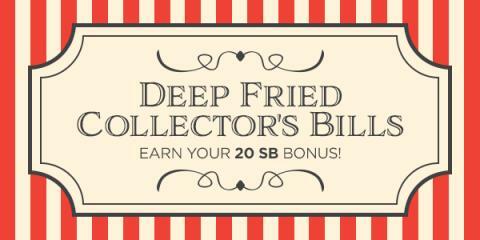 Collect all 5 Collector's Bills and you’ll earn a 20 SB Bonus!